Why did you want to have a new Mobile App? Well, we wanted to become more active in the community and wanted to make the community more aware of what we do as an organisation in Macarthur and the services that we provide for families in the area in the new media profiling and trying to sort of get to every person that we can. It is the new directions with the mobile phone. It’s quite amazing the communication that people have with their iPhones. And certainly the websites, we needed to upgrade what we had and it wasn’t active enough. Why did you want to have a new Website? We wanted to have the website interactive with our app as well, so that we can give more information to families in the community and so those that can’t access the app, they’re able to access the website and we also wanted to give updates of information of what’s happening across the organisation quickly and inform people as soon as we can. It was just to get out to a lot of community. And also people recommend you when they say, “Oh, I saw them on a website.” And they can recommend you to a friend. And certainly with the apps that’s been one of the positive things that we wanted to get happening for the organisation. What was your experience in working with Liza and her team? It’s been very exciting working with Liza. Liza’s brought a whole different spark of energy and positive directions in what we can do with our pages and our apps. She also has understood exactly what we want, and has been very helpful and supportive. And when we made changes and we have been very fussy how we want things to look and nothing has been a problem for Liza to sort of help us out. She’s very knowledgeable in what’s happening out there with the web pages, and so that’s helped us also. What did you think of the final outcome for the App and Website? We loved it. We loved it. It’s exciting. It’s exciting seeing everything come to fruition and you can just open the page and we’re sharing it with people and wherever we go, we’re saying, “We have a new app. We have a new website. Here it is.” And it just looks great. I think it’s one of the best things that we’ve done and has helped move us forward as an organisation as well. 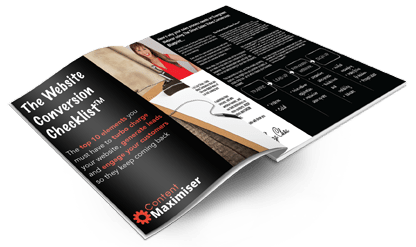 Would you recommend Liza and Content Maximiser to other companies? Definitely, she’s just a great person to work with. Very professional and is able to get things happening very quickly. That was the other thing, that it didn’t take very long for it all to be organised and setup, and we’re very happy about it. To learn more about how we can help you, feel free to contact us.